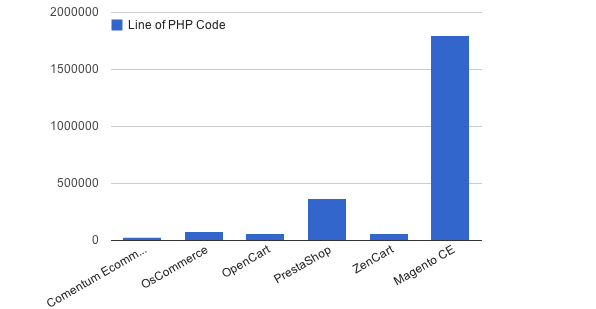 Comentum has the data to prove that the Comentum Enterprise is faster than any other top PHP ecommerce application. 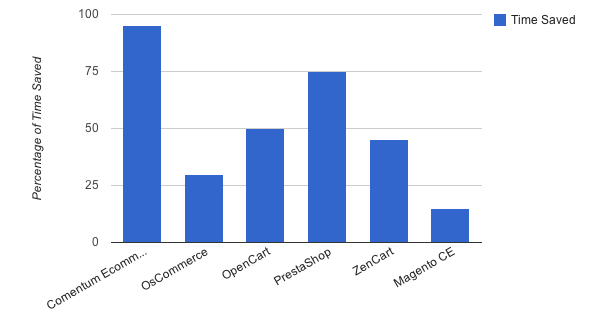 Comentum eCommerce, Magentio, OsCommerce, OpenCart, PrestaShop, ZenCart were installed and configured with the same number of inventory on a dedicated server with a QuadCore Xeon X3320 and 4GB RAM. 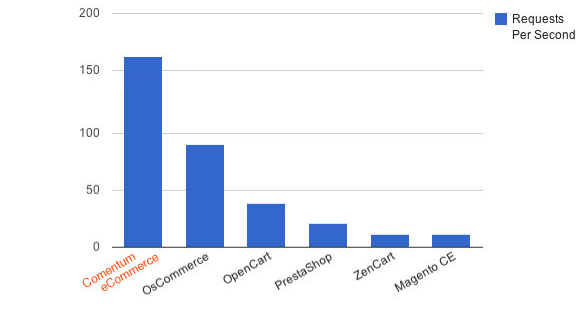 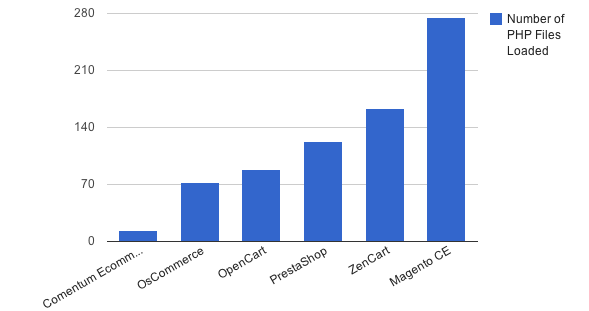 ApacheBench was used to compare all platforms for their performance, and Comentum eCommerce delivered 162 Requests per Second vs Magento which delivered 11 Requests per Second—Comentum eCommerce performed 14.7 times faster than Magento.